Since the floor makes up one of the largest single areas of any room to be furnished and decorated, its colouring, pattern and design need to be chosen very carefully for the overall scheme to be a success. 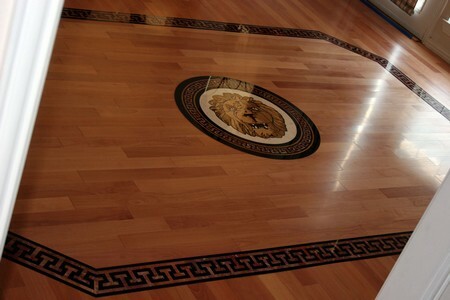 Because flooring materials must be hardwearing as well as decorative, they tend to be expensive, especially in the large quantities required, and are therefore replaced less frequently than other furnishings. Costly mistakes will have to be lived with for a long time; it also makes sense to choose a colour and style that will suit various schemes so that you will not be restricted to the same style of paint, paper and fabric until you can justify replacing the flooring. First, you must consider which types of floor covering are most suitable before narrowing your choice down to colour and pattern. For each of the flooring types, think about things like its durability, comfort, ease of laying (if you plan to do the job yourself) and cost. When thinking about colour and pattern, look at surface texture as well. 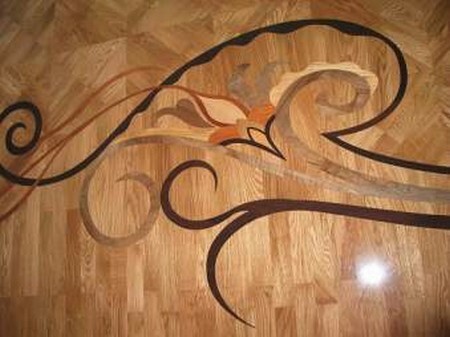 This can make such a difference to your choice of other furnishings. Too many thick velvety surfaces, for example, can be a little oppressive; a room with a hard shiny floor with lots of gloss paint, mirrors and, maybe, ceramic tiles on the walls is not very relaxing. A variety of contrasting textures between flooring and other furnishings usually makes a more comfortable impression, although you may wish to use a certain type of flooring to create a special effect or style statement. For example, a hard shiny surface in the living area creates a sense of smartness and slickness, while carpet in the bathroom provides an unmistakable sense of luxury. You can create optical illusions with your choice of colour and pattern: strong, dark colours will make a room appear smaller and the ceiling lower, while a light, neutral all-over design such as a plain or lightly flecked carpet, cork, coir or timber can be used to create the impression of space. Laying a strong pattern on the diagonal will also give the impression that the room is rather larger than it is. Decorative borders are helpful for defining an area and also to create a strong decorative theme. An infinite number of original designs is possible, especially using the different shapes and colours available among ceramic and quarry tiles or woodblock flooring. Few classic designs are more striking than the traditional two-coloured chequerboard effect of alternating black (or similarly dark-coloured) tiles with white. With ceramic, stone, vinyl and lino tiles you can use octagonal white squares with small black squares (insets) to fill in the gaps. Ceramic, lino and vinyl tiles all offer a wonderful variety of colours and motifs, but subtler, equally stunning, effects can be created using different shapes or configurations. Bricks and woodblocks can be laid in basketweave or herringbone patterns as well as the more familiar ‘bonded’ pattern; interlocking parquet or quarry tiles can be used to make up your own design. However, this bold kind of treatment is not to everyone’s taste. A patterned floor can make the rest of the room difficult to coordinate, unless the pattern is tiny or unobtrusive. A plain colour or flecked effect makes it easier to choose the rest of the room’s furnishings; if you are worried it is looking too dull, a more neutral flooring can be livened up with rugs, mats or furniture. If you are hoping to match the colour of your carpet or other floor covering exactly to certain other furnishings, then you should cut a tuft or snippet from a place where it will not be noticed or from an off-cut or sample of the material and take it with you to compare when you buy the floor covering. Colours can be very tricky to match correctly from memory and you may find it easier if you opt instead for a paler or darker shade of the same hue or even a complementary or contrasting colour – red or pink, for example, can look very good against grey, while yellow is the traditional companion for green. Remember that light can change colours dramatically so think about how and when the room is most likely to be used. Enhance a room receiving the late afternoon sunshine with honey shades of gold, brown and russet. Avoid blues and cold greens in a north-facing room or one with little natural light to prevent a chilly effect, especially where there are a lot of shiny surfaces, such as in a bathroom. If the room will be mainly used in artificial light, do check under a lamp with your samples: some reds and greens go brown, while blue might look black or grey. The secret is to beg, borrow or buy a sample of tile, carpet or whatever your choice of flooring and live with it in situ for a few days. You will soon see if it suits.